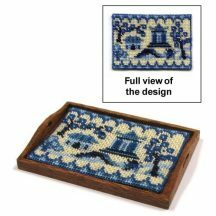 The kit includes 32 count silk gauze, a colour block chart, detailed instructions, Anchor stranded cotton, a suitable needle, and the mahogany tray pieces, which are simple to put together using wood glue. A Mahogany Wax Wood Finishing Pack is also available to help you complete this kit. 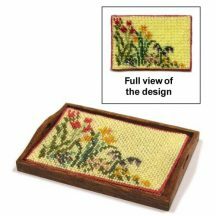 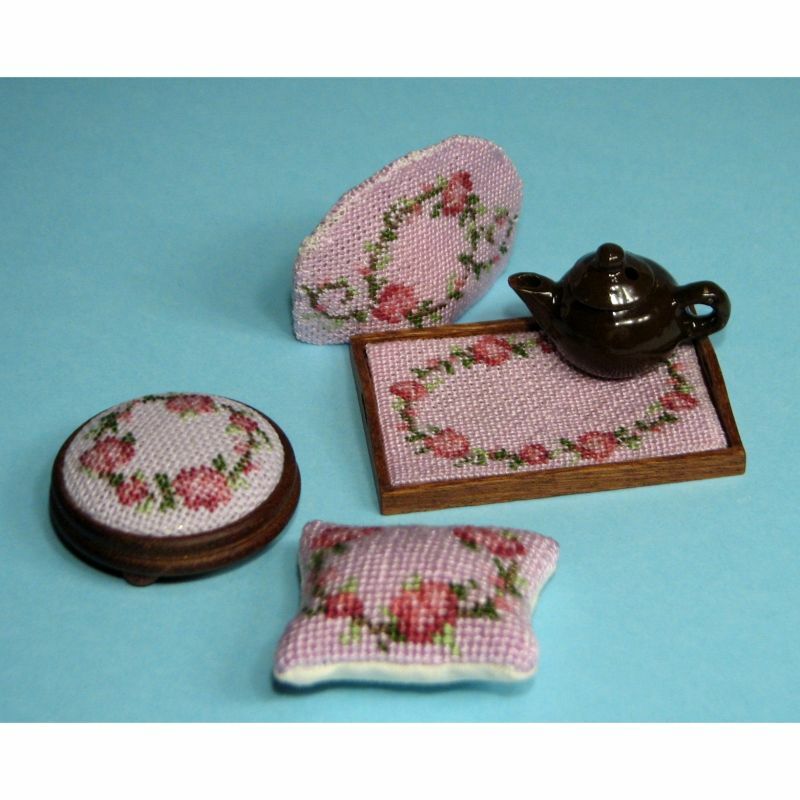 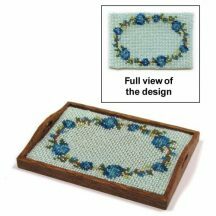 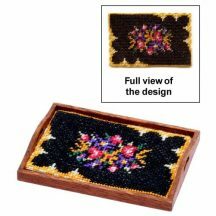 When completed, the tray measures 1.9 inches wide by 1.4 inches deep x 0.15 inches high. Suitable for those with a little stitching experience.